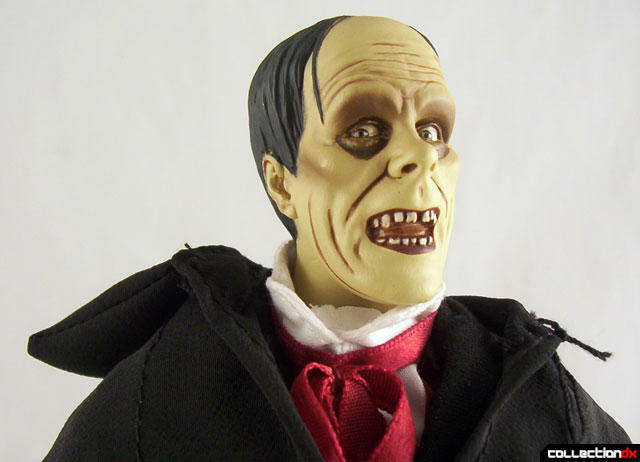 Lon Chaney was already a film legend by the time 1925's "The Phantom of the Opera" was released, but with this film he would forever cement himself as a true horror icon. 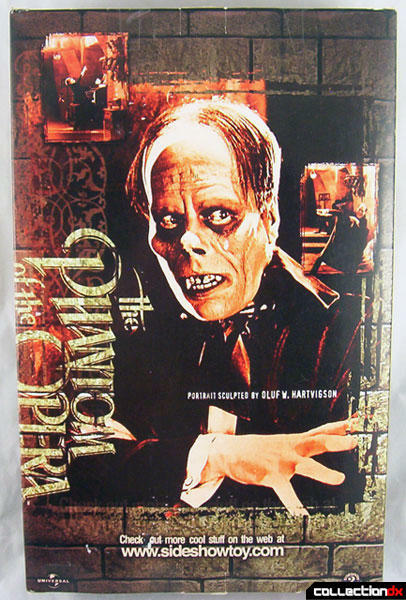 The makeup he came up with for the face of the Phantom never fails to send shivers up and down the spines of viewers. 2002 saw the release of the 12" version of the character as sculpted by Oluf W. Hartvigson and released by Sideshow Collectibles (then still known as "Sideshow Toys"). The 8" version they had done previously was nice enough, but this one is a vast improvement. With over 20 points of articulation, this figure much more poseable while retaining the same great quality in the sculpt of the characters features. 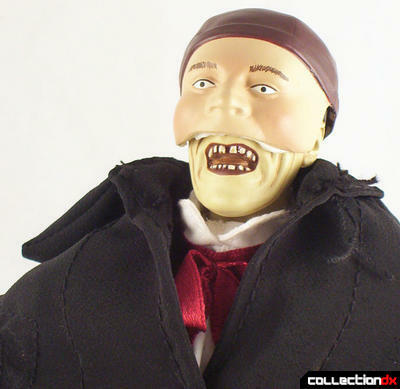 This version has the added advantage of a removable mask and hat, whereas on the smaller version you had to replace the head entirely in order to display the figure in masked/unmasked mode. Both accessories fit snugly on too, so there is little chance the either would fall off by accident. 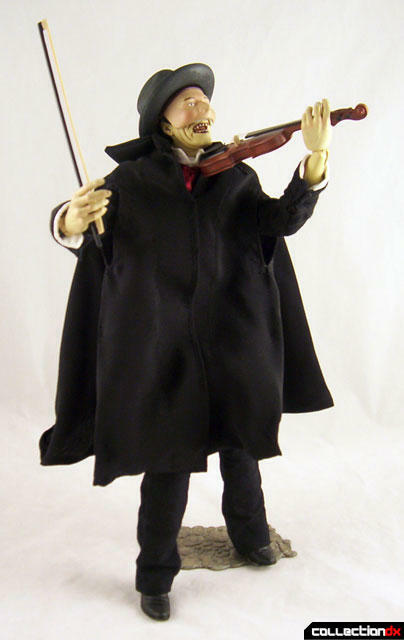 The other accessories included with the figure are a base with a peg that fits into the bottom of either foot, and also a violin and wand. 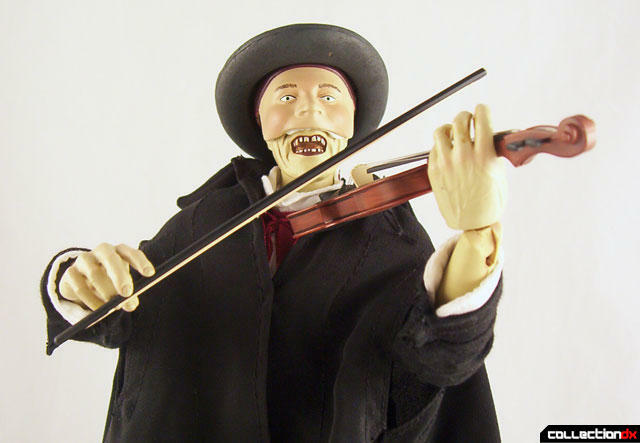 The detail on the violin is excellent and it even has real strings. However, it's quite difficult to get the toy to hold it properly since it re-uses existing molds on the hands. I don't mind a company re-using molds, but I think it a figure has accessories it can hold, it should have hands that are made for those accessories. 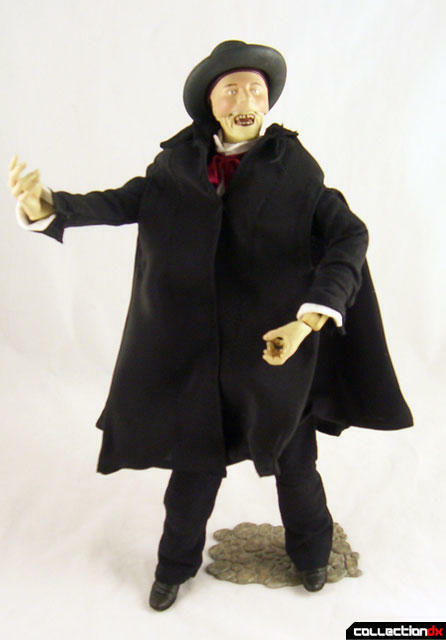 Overall, this is a great figure in the line of classic horror characters from Sideshow. Well worth your buying dollar.